As always Newton played a stormer and was fantastic, the way he plays his guitar and gets the crowd going from the off is amazing, will def see him again sometime soon I hope. Newton Faulkner was absolutely amazing, this is the third time I have seen him and he never disappoints I never want the evening to end. It shows that he thoroughly enjoys performing and he interacts so well with the audience and gets everyone joining in. He is so talented and it's just a pure joy watching and listening to him perform, although I'm sure he must frustrate his sound guys by changing the set to audience song requests. Newton Faulkner wowed is with an amazing rendition of all his best tracks. He engaged the audience so that we all felt part of the event even doing the back loop when his kit failed! In all an incredible night & even better to hear his new album tracks performed faultlessly! 3rd time of seeing Newton. Remains the most talented performer I know of. To top it off he interacts with the crowd and creates an amazing atmosphere. Only complaint would be people at the back kept shouting for it to be turned up...although if they all stopped talking they would of been able to hear more! Blending folk with modern percussive techniques, Newton Faulkner has captured the attention of many and continues to be an inventive and charismatic performer. Faulkner fans will be thrilled to hear he has just announced an extensive late 2017 tour. Catch him when he plays a headline set at O2 Academy Newcastle, O2 Institute Birmingham, O2 Academy Leicester, The Slade Rooms at Wolverhampton, Epic Studios at Norwich, Cambridge Junction, O2 Academy Oxford, O2 Academy Bristol, Y Plas at Cardiff, G Live at Guildford, ULU in London, The Factory in Barnstaple and Old Fire Station during November plus Assembly Hall at Worthing in December. Expected to sell quickly, you will need to act fast and book your Newton Faulkner tickets soon after their release. He shot to attention with the release of his debut album Hand Built By Robots in 2007. His subsequent record releases include Rebuilt By Humans, Write It On Your Skin and Studio Zoo. Following a two year hiatus, Faulkner returned in 2015 with his stunning fifth studio album Human Love. The record delighted his loyal fanbase and certainly pleased the eagerly awaiting music press. 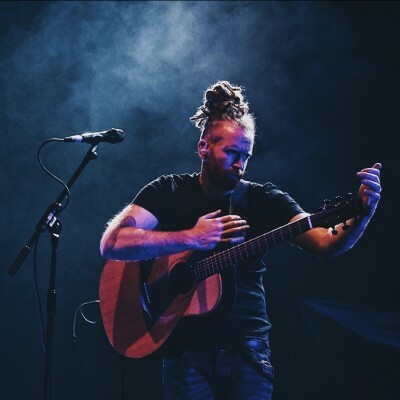 With only limited amounts of Newton Faulkner concert tickets being made available, we do urge you to act quick and book yours before they are gone. Gigantic offers excellent customer service and with ten years of experience in providing the very best essential gig tickets you know we are the right place to come whenever you are booking your big night out.